July started out very hot but by Saturday we had much better temperatures, especially in the morning. My cherry trees don't have the kind of cherries that are large and eaten by humans and they don't have large blossoms but they do provide a lot of food for the birds. The dragonfly below seemed to like the bricks on my house. Gorgeous! Wonderful shots! I love the second one! What a cool dragonfly photo. Nice composition and texture. 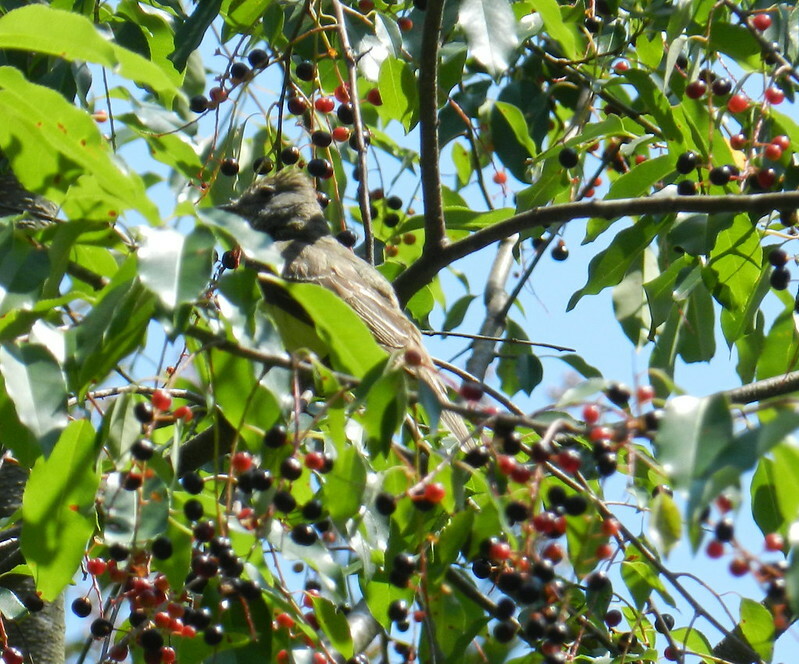 It is nice to have a fruit bearing tree to attract the birds. Great capture of the dragonfly.. have a happy week! That is a terrific capture of the dragonfly with its shadow. 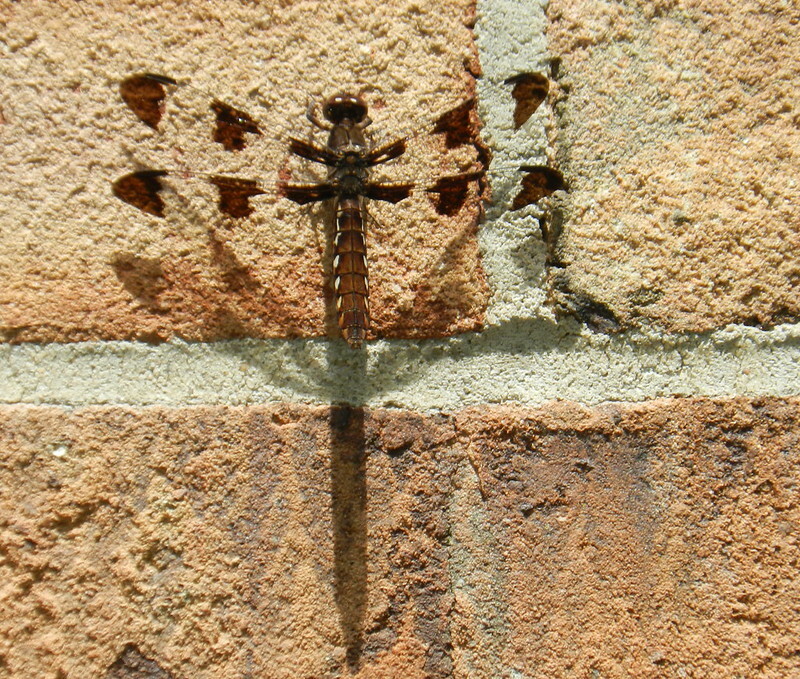 The dragon fly and shadow are beautiful on the brick -- Nature's art! I'd opt for cherry tree like you have anytime -- would rather feed the yard-birds and buy the few we would want to eat at the market! Great pics, especially the dragonfly with that wonderful shadow! Lovely photos! I love dragonflies. They are ancient creatures whose fossils look very much like the dragonflies we see today.